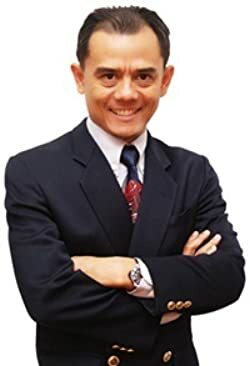 Azizi Ali is one of Malaysia's premier writer, speaker and coach on money matters. His first book Millionaires are from a Different Planet literally changed the publishing scene in Malaysia. It has sold over 100,000 copies and started the trend for financial books and seminars in the country. Since then, Azizi has written over 30 books on the subject of money and wealth creation. The titles include the best-sellers How to Become a Property Millionaire, The Millionaire in Me, Retire RICH, Get Rich Faster, Get Into Gold and Money Changes Everything. Get Into Gold won the award for the Best Motivational Book in Malaysia 2012. Azizi is also active on the speaking circuit and has spoken to over 300,000 seminar participants. He also meets regularly with members of his personalized coaching program - the Inner Circle. Azizi is a Chartered Financial Consultant (ChFC) and holds an MBA from University of Bath, UK. Log on to his blog www.beahappymillionaire.com to find out more about Azizi and how he can help you lead more prosperous lives. Please enter your email address and click the Follow button to follow Azizi Ali!